It’s my pleasure to write something about learning at South Grove Primary Family Learning. I’m extremely grateful that I have had a chance to be a part of it. It’s my personal experience that there is no comparison of South Grove Primary to other learning institutes because the atmosphere was really friendly, excellent teachers, and really supportive and welcoming people, who really care about learners. I started my educational journey from South Grove. When I started my study, I wasn’t able to communicate with others but my teacher was very supportive. She encouraged me to learn and speak. My kids were studying there so it’s very easy for me to learn at South Grove while my kids were in school. Now I’m able to communicate with different people. I’ve learnt lots of things during my studies so I could balance both my study and family. I can help my kids with their homework and targets. My kids are improving a lot in their studies. I would like to thank Ms Brigid Montgomery (extended school leader). She gave me a great opportunity to run the speaking English club at South Grove. That made a huge difference in my life. Honestly speaking, I would not be as confident as I am today. This is because of learning at South Grove. I never want to leave this school although we’ve moved to Islington but still me and my kids are studying in this school. I would highly recommend South Grove to everyone (both kids and adults). Thank you so much South Grove for giving me such big opportunities. This project aims to improve the educational attainment and aspirations of the extended family members of South Grove Primary school and offers opportunities to increase their confidence through a varied learning offer thus increasing a sense of community cohesion and an improved adult knowledge of local training, learning and volunteering. Our school is situated in Markhouse ward in Walthamstow, East London and the ward is in the top 5% of multiple deprivation nationally. There are forty-four different community languages spoken in the school. Many of our families face complex challenges relating to isolation, mental health, poverty, language, fear of crime and emotional and social issues. As a school our primary aim is to raise the literacy and numeracy of children but we recognise the vital role of parents in supporting their children’s learning too. Our project has offered a variety of classes and sessions including Adult literacy, ESOL, Parenting, Family English, and Childcare and teaching assistant courses, Family Yoga, African dance and drumming, Tai Chi, Gardening, Circus skills and a book celebrating our diverse cultures. Some of the softer options act as a hook to encouraging people to try something new with their children or other adults. We always consult and speak with parents/learners about learning pathways that they may find useful. Using this information and local health, crime and educational data helps us to plan our activities. This makes it easier to respond to local need. We work in partnership with adult providers like the WEA and Waltham Forest adult learning to provide classes and then identify pockets of funding which enable a variety of active and more creative sessions for families. This is an on-going process. We use a mobile classroom within the school for classes and we provide a creche where possible to enable parents to engage in learning as soon as their youngest child is one year old. This has meant that the adults feel comfortable as they know the school building and that childcare is offered to encourage early engagement with learning. Word of mouth works well when promoting classes as well as flyers etc which are publicised locally. The outcomes from this project are very noticeable. School staff report better and closer communication with families. There has been an increase in parents volunteering to help with school activities, new friendships have been formed and there is a greater focus on learning. However, it is the outcomes for the learners and their families that is most obvious. 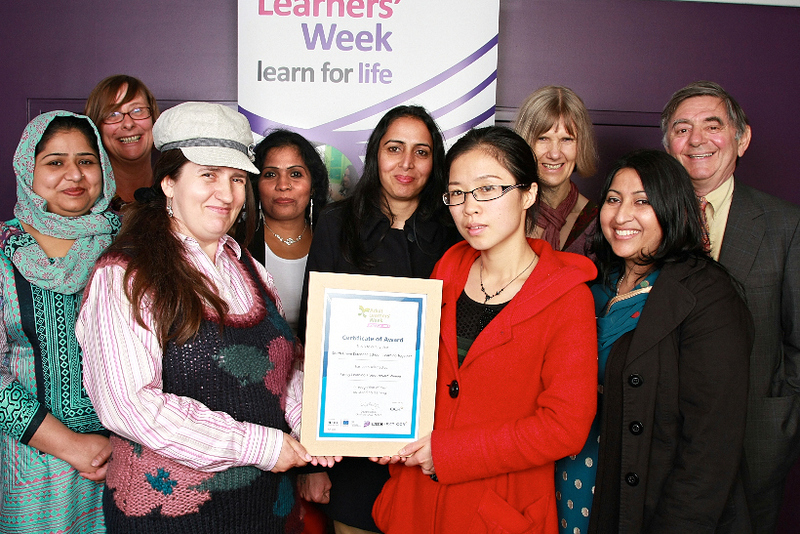 Some learners have progressed from ESOL classes to working as teaching assistants in primary and secondary schools. Others have progressed to college courses in hairdressing and office skills. Some have gone on to work in retail and catering. Two learners completed a training course which means that they volunteer to host English conversation classes for other newly arrived parents. 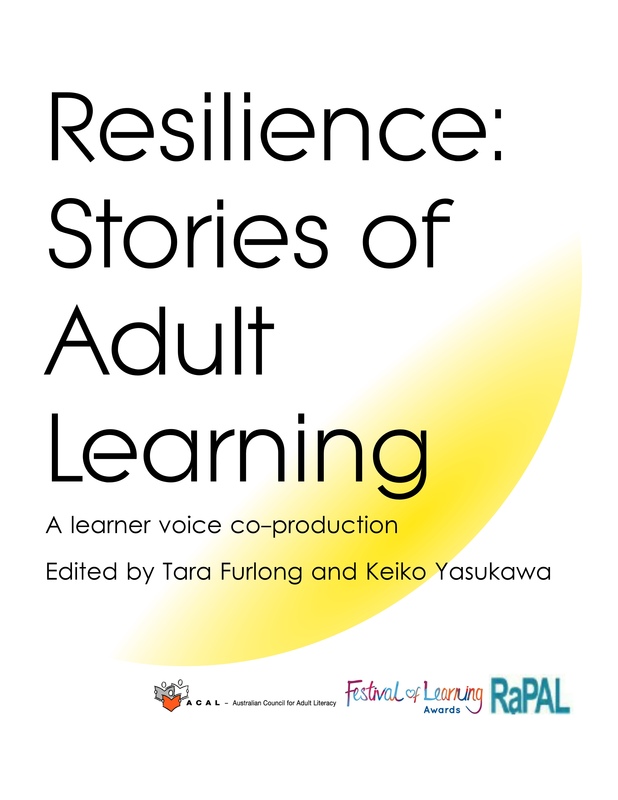 Adults who attend our classes have had a variety of difficult life experiences including domestic violence, depression, asylum seeking, challenging previous relationships with schools and education which has impacted on their confidence but the retention and development of the learners within this project is clear. There are a small group of learners who do not have even basic literacy skills and we are trying to engage with this group currently. It may be helpful to hear some of the feedback we have had. “At the beginning my mum couldn’t even catch a ball. She learnt how to catch and throw a juggling ball. I learnt how to juggle with two balls, walk on stilts, balance on the pedals…..My favourite is the diablo and we learnt to do the wavy things with scarfs. We are determined to share many more moments within this school community.